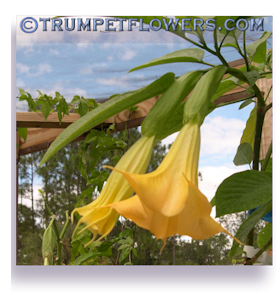 With their unmatched beauty and broad range of colors and shapes, brugmansia, or trumpet flower trees are perfect for almost anyone. They also make a great container plant at weddings, formal social events, anniversaries, parties, and many other events. Of course, they are great landscape and garden plants too. 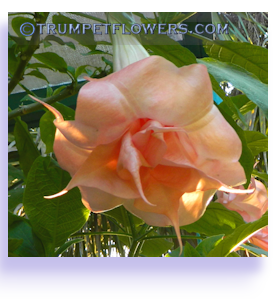 Perfect for anything from a patio to a pool deck, trumpet flowers can&apos;t be beat. 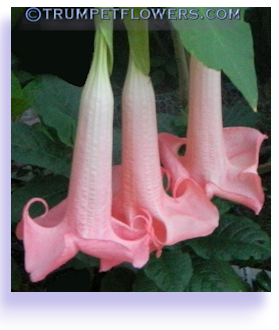 Brugmansia, or Angel trumpets, as they are commonly called, are my main collection. I also collect passiflora and justicia, cassia and bauhinia. 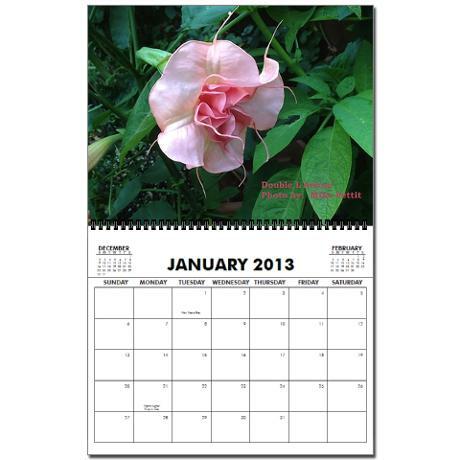 On these pages you will find information on all of these beautiful landscape or patio container plants. The trumpet flower still remains my first love. 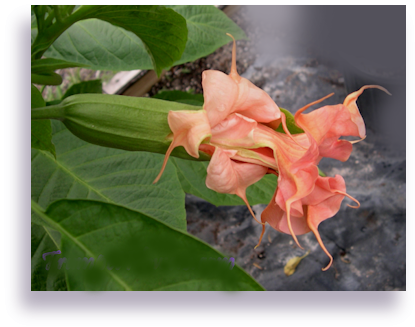 The fragrance of brugmansia flowers are very strong, and most of them smell like baby powder. Others smell like almonds, and some like a cross of citrus blooms with a nutty overtone. All the scents they produce are pleasing, and some so strong even the neighbors will ask you what that sweet scent is, caught on a light breeze and directed their way. 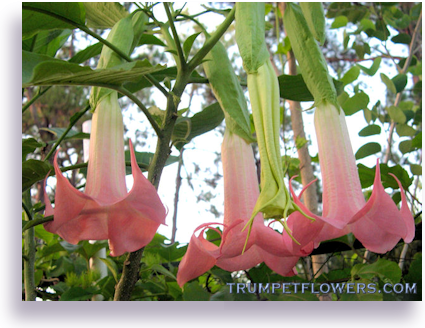 Angel trumpets are easy to manage, and beautiful to see. They are also very fast growers, and come in sizes from mature at 6 to 8 feet, all the way to 20 feet if placed in the ground and protected from frost. These are magnificent to see in full flush. Walking underneath a tree in full bloom is wonderous. 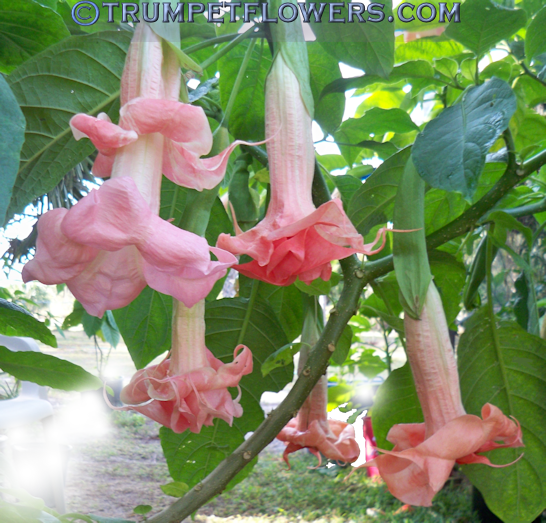 Angel Trumpet trees are also easy to hybridize, if you have more than one cultivar. The fat, swollen seed pods created by you will bring much joy to those who are interested in dabbling in this. 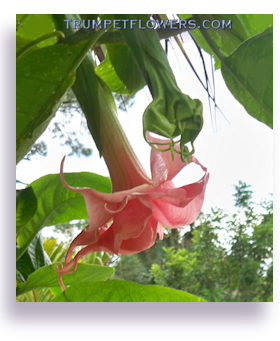 There is an easy to read pictorial on this matter in the Navigation Menu, mentioning pollinating these lovely trumpet flowers. But I will now move on to the other things I want to offer up on this website. 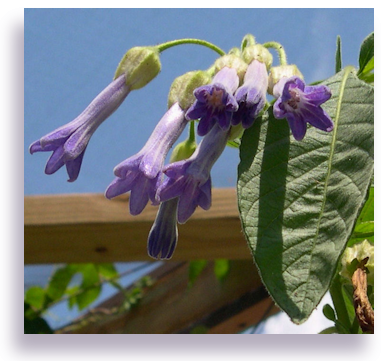 Be assured I have plenty of educational information on the care of angel trumpets on this site. Within these pages I am trying to amass a gardener&apos;s handbook of sorts, some blogs, mostly information, and critical maps and charts that help us all do a better job with our gardening. I want to pass along some of the tips and tricks I&apos;ve learned, and hopefully help any new gardeners get started on the right track. I am basically an organic gardener, but in a time of desperation, I will use some strong chemicals, to stop things like spidermites, an almost immune anrachnid that is the bane of any gardener. But for the most part, a strong spray of water, hand-picking, and a few tree oils that bugs hate, and I&apos;m good to go. I hope you new gardeners think of this path too. It&apos;s better for all of us, to go light on this complicated web of plants, animals, insects, fungi and all inbetween. So read on, my new gardening friends! Since I live in a microclimate of zone 10A, 9B&semi; I have a lot of information about plants that do well here, so most of this site will deal with experiences in my climate. This entry was posted on February 24th, 2012 and is filed under Text.